Our Coptic Orthodox church was established by St. Mark in Egypt nearly 2000 years ago. Our church is truly rich and beautiful in many ways from our sacramental services, our patristics (early Christian writers), our saints, and our traditions. We are passionate about bringing this Orthodox faith to everyone in America. We are also enthusiastic about serving our community and the people around us in every possible way. I know that St. Athanasius will be a shining light to everyone for many decades to come and I encourage you to look around our website and benefit from the resources we offer. New vis­i­tors will find there are many new things to expe­ri­ence in a Cop­tic Ortho­dox Church ser­vice. Feel free to go at your own pace, ask any ques­tions you want, and know you are most wel­come to “come and see” (John 1:39). Light­ing can­dles is an impor­tant part of Ortho­dox wor­ship and piety. We light can­dles as we pray, mak­ing an offer­ing to accom­pany our prayers. Ortho­dox typ­i­cally light can­dles when com­ing into the church. You do not have to be an Ortho­dox Chris­t­ian to light a can­dle and pray! When you enter a church, some­one will greet you and direct you to a place to sit. 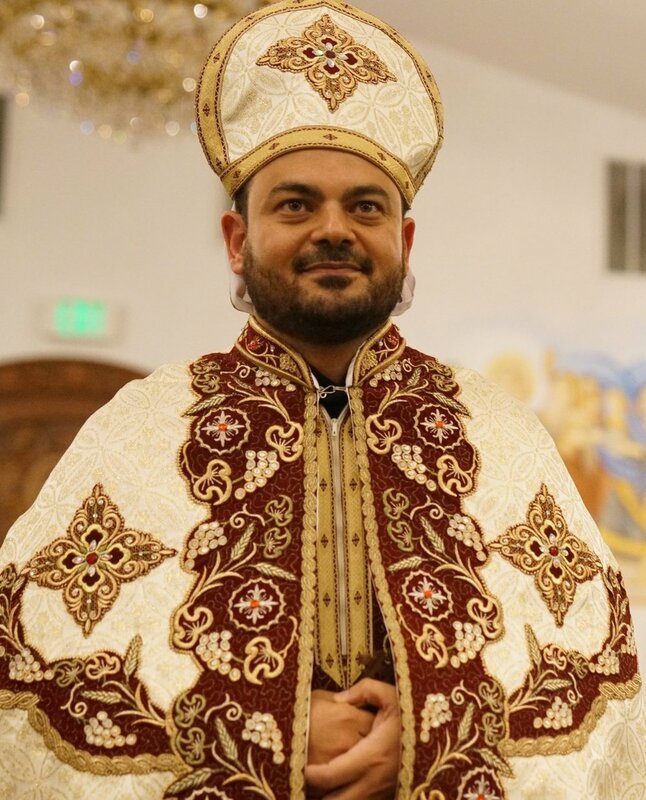 We have a large projected display that runs a novel app called Coptic Reader (which may be downloaded for free for iOS here or Android here) that updates con­tin­u­ously dur­ing the Liturgy with the prayers. You may fol­low the ser­vice text, or, if you pre­fer, sim­ply close your eyes and enter into the Church’s beau­ti­ful wor­ship of God. Fol­low­ing the Saturday Divine Liturgy, you are invited to join us for an "agape meal” which is a good time to get to know our parish mem­bers and meet our priest. On Friday evenings, the Evening Rais­ing of Incense ser­vice (Ves­pers) is gen­er­ally 30–45 min­utes in length, followed by Midnight Praises that last 60 minutes. On Saturday morn­ings, a sim­i­lar ser­vice is cel­e­brated before the Divine Liturgy. After­wards, the Divine Liturgy is approx­i­mately 3 hours in length with an Eng­lish homily at approx­i­mately 9:30 a.m. and the Dis­tri­b­u­tion of the Mys­tery of the Eucharist from 10:45–11:00 a.m. We under­stand this may seem like a very long ser­vice, but we know that when you have par­tic­i­pated in an Ortho­dox ser­vice you will feel like you have truly wor­shipped the liv­ing God. Yes, immediately after the Divine Liturgy, we pro­vide Sun­day school in small groups for chil­dren in ages 2 to Grade 2. Click here for more details.